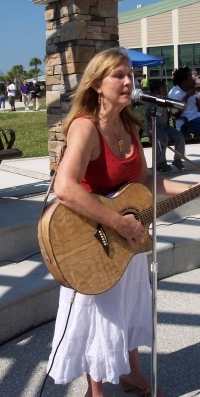 ...After a 25 year career in business, I am now back to my "real self" and am a seriously aspiring singer/songwriter. I'm learning all I can and hope to be a success at it --- soon. I have 18 songs done, and am writing more music that will touch people's hearts and maybe help change the world. Claustro -- particularly bridges and tunnels. I even have trouble in drive-through car washes. But a friend told me it's impossible to be afraid when you're singing, so that's what I do, and it works! But I still stay out of caves whenever possible. Interesting question, because I'm at a later stage of life. Originally I was going to be a doctor and work in ghettos, but ended up in business instead. I might be doing what my part-time job is now, developing training programs that help farm workers. My formula for success is to network like crazy and be kind to everyone first because it's just nice (Love One Another) and second, you never know when they can help you (or you can help them.) Also, I try to hold on to my passion and do my vocal exercises as often as possible! Live concert would be in Congo. I've never been to Africa and am intrigued by it, although being in a place where the government controls the press makes me a little nervous. Social networking project/website -- hmmm.... I'd probably give it the name of my first song and video - Take These Hands.